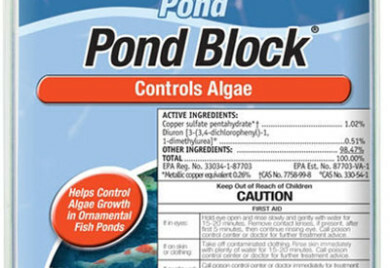 Pond Block® helps clear cloudy water and remove algae from ornamental ponds or fountain water. Pond Blocks work well to eliminate string algae from waterfalls and rocks in custom Koi Ponds. Will not harm pond fish. 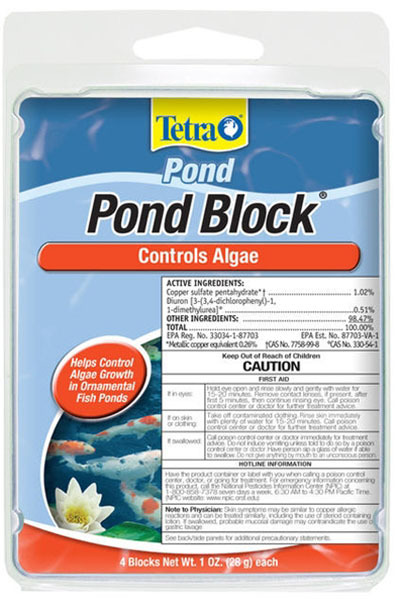 Tetra Pond Block is a pond supply product limited for use in backyard/homeowner ponds and water fountains. For containerized ponds only. Will kill water hyacinth, water lettuce and tropical water lilies.